There was no conferring and all the ratings were made without knowing who provided them. We were allowed to add salt, pepper, malt vinegar, tomato ketchup or tartar sauce, although we tried to taste before smothering each dish. We let one person off testing the mushy peas because he hated them. The outcome was clear, with the overall winner standing out from the rest. In first place was …… da da …… Olley’s, but we have to point out that this was the most expensive by far (£38), being at least twice the cost the others. 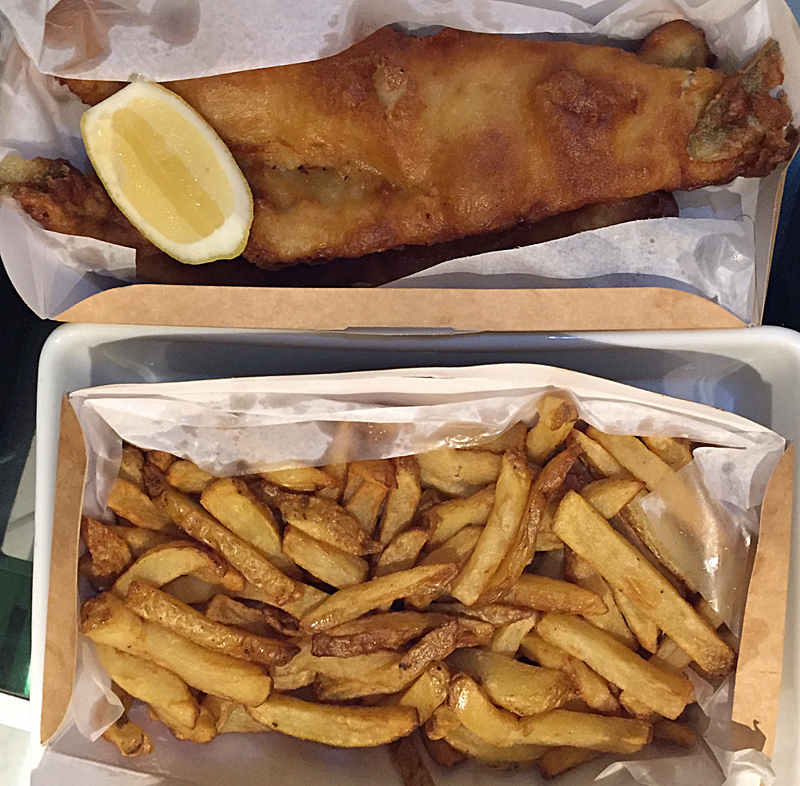 But for crispy batter, great fish, crispy chips and pretty good mushy peas it was ahead of the pack. Our critical lot awarded a couple of 5’s (absolutely brilliant) and the only top ratings for any element of a fish supper. Although we tasted all the others, by the end of the evening there was nothing left of this one. We couldn’t really separate The Fish Lounge (£19 included two lots of mushy peas and the curry sauce) and Brixton’s Cod (£13). They were both good value, especially Brixton’s Cod, scoring mostly 3s and 4s. 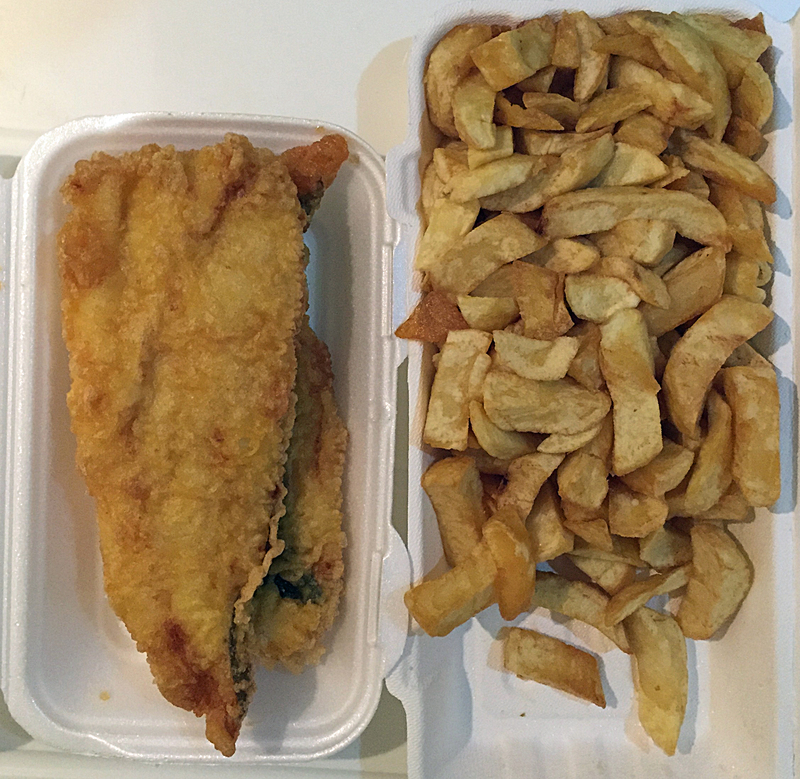 The mushy peas were particularly good from Brixton’s Cod, getting the best rating. 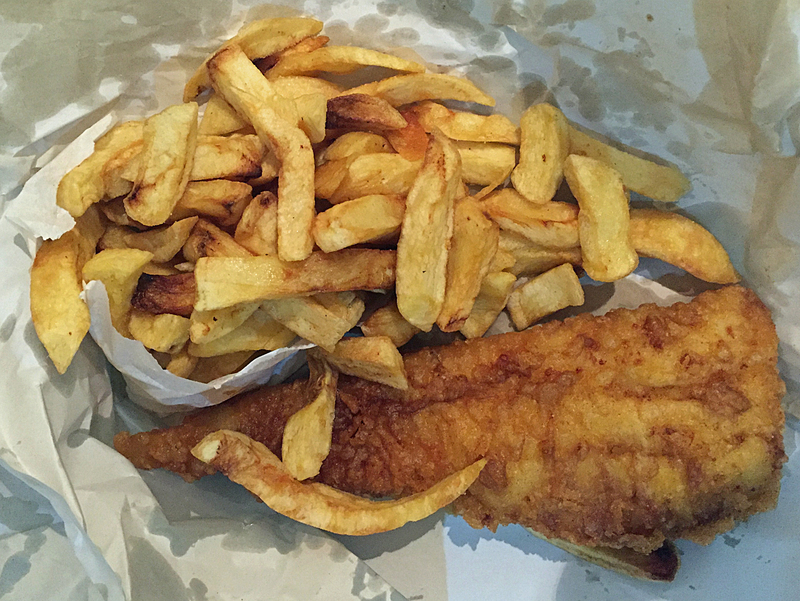 One restaurant we thought needs to think again about what it offers and that was The Chip Shop (£15). 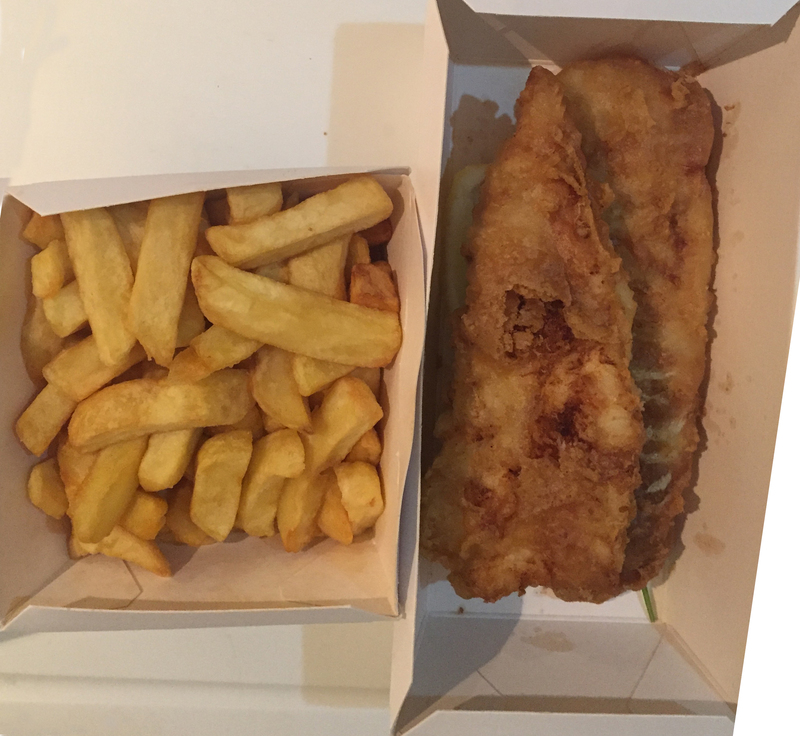 Everything was over salty, the chips were flabby and a bit sweet, the batter wasn’t crispy and the fish didn’t taste very fresh. But we were most critical of the mushy peas. They were solid and extremely salty and comments included, horrid and inedible. But we would like to support them for their recyclable cartons. You will need to go out and queue up for Fish Lounge and Brixton Cod but Olley’s and The Chip Shop have engaged with a delivery service. Finally, we did have quite a few chips left over, but we finished them off the following night after giving them another deep fry – trendy triple cooked chips. We agree with your outcome as we have tried them all. Living in central Brixton means that Olly’s is the furthest away but well worth the trip.